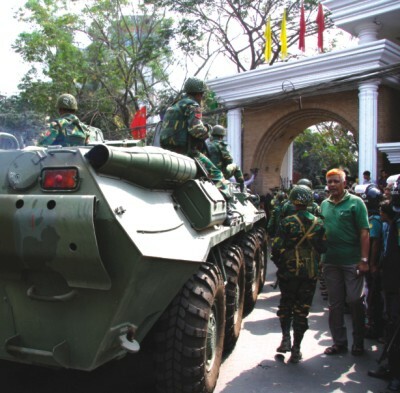 On the last three days of February, some of the brilliant officers of Bangladesh Army have been brutally murdered at the Bangladesh Rifles Headquarters in Pilkhana. As the nation mourns the loss of these valiant sons and daughters we try to find out the missing links. There are unanswered questions, which need to be probed. The government must allow a free and neutral investigation into the carnage to bring the masterminds of this massacre to justice. The blood of the shaheeds of the Pilkhana carnage will not go in vain.